A wired locker system - without the wires. The latest innovation in locker management technology: eLocker connects lockers to your online web portal, giving you complete control over your locker rooms. 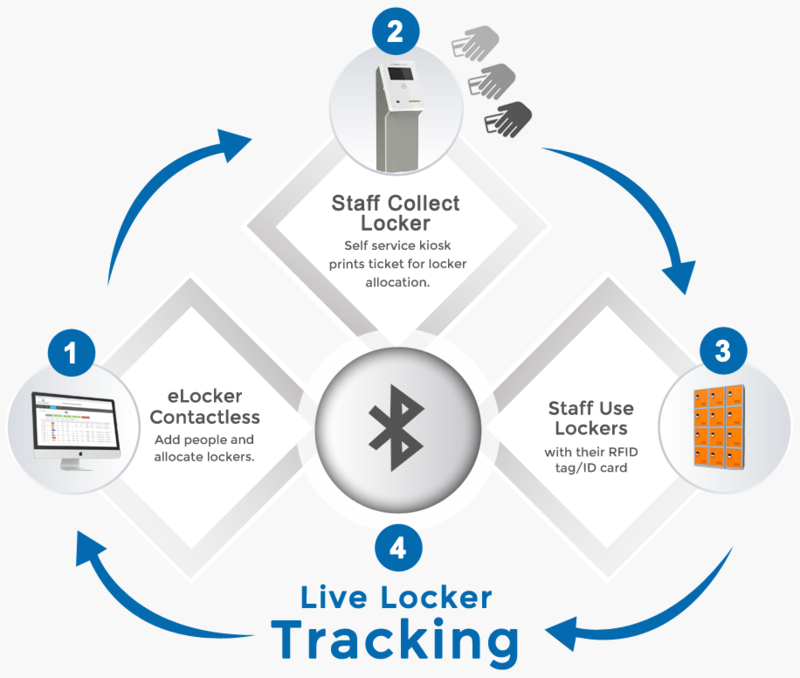 Our bluetooth system gives analytical data and tracking for each locker on the site. From allocation, to daily use and tracking, everything is easier with eLocker. 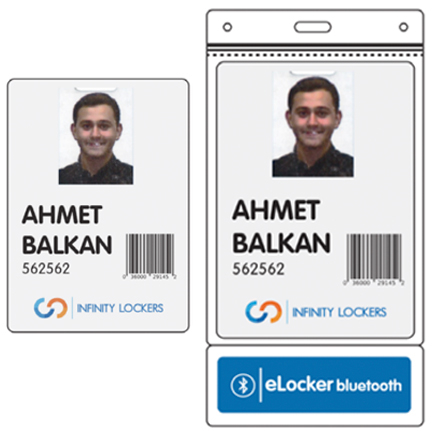 eLocker Contactless Bluetooth is a revolutionary keyless locker system. With wireless Bluetooth technology we are able to offer the same features and benefits as a hard wired locker system without the cost. Locks communicate with the server using bluetooth, offering time stamped tracking allowing you to know who has opened each locker and at what time. Learn about smart locker systems with our free brochure. The staff member uses the kiosk and collects printed ticket locker allocation. eLocker's smart locker system tracks locker usage and tracks locker openings with the time and date. This allows for full analytic tracking using the smart online dashboard. eLocker contactless provides full visibility and analytical data to our customers. The process is automated, and all data can be accessed at anytime. Not only is an audible alarm triggered during any attempted break-in, but management will also be notified immediately through email. Management will have full access to the "health status" of each locker: open, closed, assigned, not assigned, broken, faulty and so on. eLocker means you're always in-the-know. Security is critical for a network-wide locker system. Our "4 eyed open" security protocol means that no single manager can open in-use lockers without someone else present.